Come see how Aina uses her Black paper insert in her Prima Travelers Journal. Aina used ephemera from the Amber Moon collection for in her layout and her pockets of her Travel Journal. She wrote in with a white pen and used some of Prima Markeritng Inc. stamps giving her layout some layers and color. Aina also included a picture in her journal entry to make it that much more personalized to her and adding a perfect touch. Watch Aina's step by step process on how she creates in her black paper insert notebook. 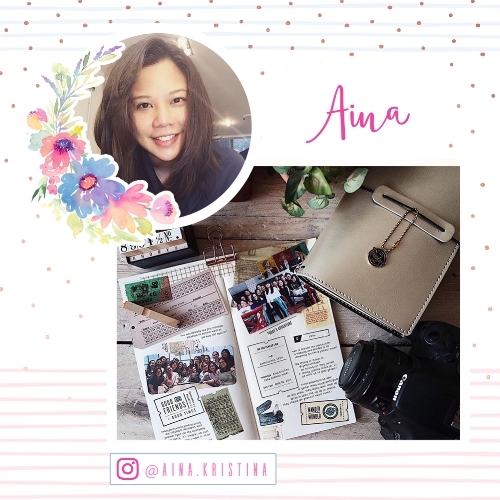 Video by Aina Kristina using My Prima Planner. To see more inspirational pictures and videos by Aina follow her at @aina.kristina on Instagram and Youtube.